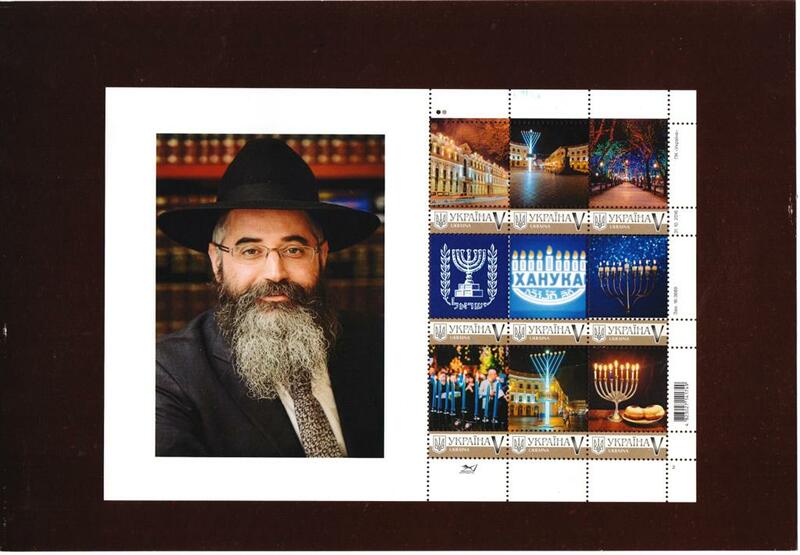 On the holiday of Chanukah 2018, the UKRPOSHTA, the National Postal Service of Ukraine, dedicated nine stamps to the Odessa Jewish community. These stamps, which all have Chanukah Menorahs as the central part of their design, are a testament to the great Jewish revival that is taking place in the Former Soviet Union. Less than 30 years ago, owning a Chanukah Menorah was considered a crime against the state, punishable by imprisonment or death. Today, the head of the National Postal Service publicly acknowledged the Jewish community of the third largest city in the Ukraine for its contribution to the larger Odessa community. The Odessa Jewish community is well known and loved for its kindness towards the poor and needy. With a thriving Children’s home and orphanage, soup kitchens, clothing distribution, and other services in place, the needy people of Odessa, know that the Jewish community is their address to turn to for care and support. The stamps honor and were presented to the chief Rabbi and leader of the Jewish community of Odessa and Southern Ukraine, Rabbi Avraham Wolf.